The actual Brexit process is (finally) expected to begin in the coming weeks, possibly as early as Saturday. But first, the lower house must approve the much-debated Brexit bill, which has ping-ponged between chambers for months now. On Monday it will get its first chance to do so. Prime Minister Theresa May will ask the House of Commons to undo amendments added by the upper house – a provision that preserves the rights of EU citizens and one requiring parliamentary approval on the final Brexit deal with the EU. The PM insists these inclusions weaken the country’s negotiating position with the EU because they give away benefits that could otherwise be used to extract concessions from the bloc. Ms May’s Conservative Party holds a slim five-seat majority in the lower house, so the bill’s un-amended passage is guaranteed if she can enforce strict party discipline. This will be challenging. 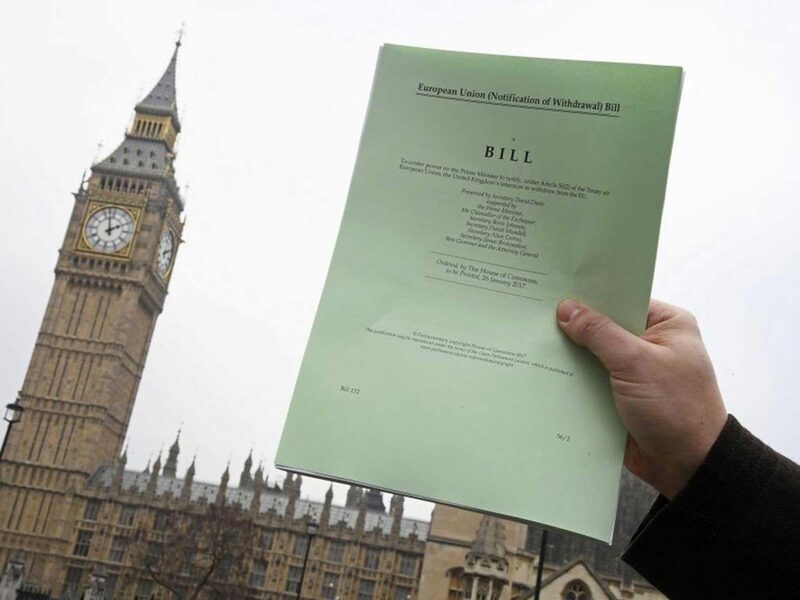 A number of senior party figures have threatened to oppose the original bill, which would delay the entire Brexit process. If Monday’s vote goes off without a hitch, the world will be a small step closer to the beginning of the end of the UK’s EU membership.